The Coolest Advances in Wearable Technology – Far End Gear Article - Far End Gear™ Products for outdoor enthusiasts - earbuds, earphones, and earbud sport grips. 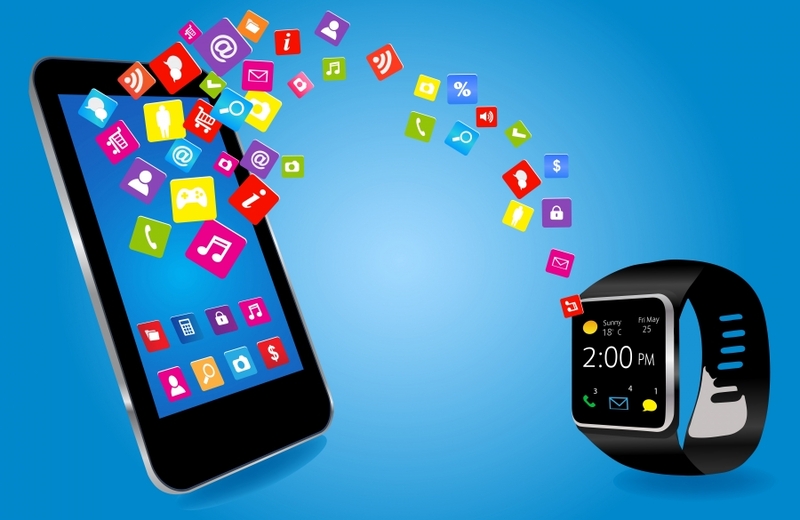 New technology is dropping every week, and one of the biggest gadget trends these days is wearable technology. For outdoor enthusiasts and athletes alike, wearable technology offers the opportunity to reach new heights in training, and some gadgets even monitor body motion to help prevent injuries. We’ll break down some of these cool advances below and highlight the latest and greatest in wearable technology. Jawbone UP24. Slim and stylish, the Jawbone 24 is like a wellness coach you wear on your wrist. Its Sleep Tracking feature looks at your sleeping habits and offers ways to improve your sleep while gently waking you up at just the right time in your sleep cycle. With activity tracking, Jawbone allows you to set goals for physical activity, monitor your steps taken and calories burned throughout the day, and alerts you if you’ve been idle for too long. To top it off, Jawbone UP24 is Bluetooth-enabled, so it syncs up to your smartphone 100 percent wirelessly, and its battery lasts a whopping seven days before it has to be recharged. Sensoria Fitness Smart Sock. Sensoria Fitness Smart Socks are specially made with innovative textile sensors that wirelessly sync up to a Bluetooth anklet worn on the cuff of the sock. Along with the anklet, the Sensoria uses a mobile application to track your steps, speed, and calories burned. However, what makes it truly unique is its ability to analyze your foot landing technique. Using this technology, runners can use the Smart Socks to identify running styles that often lead to injuries. The Smart Socks have yet to be released, but you can preorder them now and receive them upon their launch in early 2015. Far End Gear Brite Buds Stereo-to-Mono Single Earphone. From the world’s first line of reflective-cord earphones comes the Brite Buds Stereo-to-Mono Single Earphone. This innovative earbud helps keep runners and cyclists safe in two different ways: 1) By channeling both sides of a stereo mix in one earbud, Far End Gear’s Brite Buds Single Earphone allows outdoor athletes to fully enjoy their favorite music or podcasts while keeping one ear open to their surroundings, and 2) the reflective fabric-wrapped cord provides extra visibility at night. It even comes with multiple sets of comfortable rubber ear tips for a non-slip fit. TomTom Multi Sport. This handy GPS watch shows your speed and distance traveled on a vivid LCD display and offers three unique modes for runners, cyclists, and swimmers. It’s waterproof up to 165 feet and uses a “swim sensor” to track how long you’ve been in the pool. The Multi-Sport even has interchangeable straps for added style and is available in upgraded models that come with heart rate and cadence sensors. Recon Jet Sunglasses. These sleek sunglasses use a high-powered microcomputer and a slew of built-in sensors to track your speed, distance, duration, heart rate, and so much more. All of this information is displayed on a high-definition screen in the bottom of the right lens so you can monitor your running and cycling stats on the fly. Like Google Glass, the Recon Jet syncs up with your smartphone so you can take calls and view text messages while you’re moving and two polarized lenses provide 100 percent UV protection. Notch. This tiny motion tracker may look small, but wow, is it functional. You can use up to 10 sensors to track your individual body motions—great for runners, cyclists, and competitive athletes alike. However, it’s mostly geared towards sports, as it collects data that allows athletes to analyze and improve their movements, from golf club or tennis racquet swings to leg motions on kicking. GoMotion Synergy LightVest Hydration Pack. Functional and super comfortable, the GoMotion Synergy features a reflective mesh vest and sack, so you can store your belongings and remain visible while you’re on the trail. It’s incredibly lightweight, has padded straps, two flashing LED red taillights, and even has room to store a one liter hydration bladder.